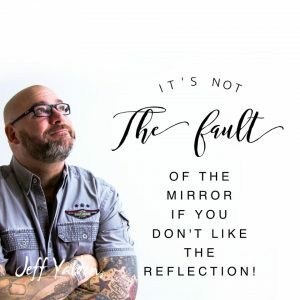 For those of you who might be new to this blog or to The BOOM Podcast, Jeff Yalden is the author of the Amazon bestseller, BOOM! One Word to Inspire Action, Deliver Rewards, and Positively Affect Your Life Every Day. Yalden is and has been a top youth motivational and mental health speaker for more than two decades. He has addressed more than 4000 teen audiences in all 50 states, every province in Canada and 49 countries. He recently launched a brand-new companion workbook and planner to BOOM, The BOOM 28 Day Boot Camp: Creating a Life of Success. Find Motivation. Crush Goals. Overcome Obstacles. Live with Purpose. Yalden has also been laying out and expanding on the daily principles from the BOOM Boot Camp book on The BOOM Podcast. He will be the first to tell you that these principles will change your life, but only you can put in the work to make this a reality. Jeff wrote BOOM after he had overcome some very tough times, including spinal cord fusion, major depression and a too-close-to-home diabetes scare that could well have ended his life if he chose not to take immediate action. You’ve got to take responsibility. Accountability check: Know that you’ve got to make a change. Take personal responsibility now. “Own it. I am talking having one plan, one task – one thing that you want to accomplish – and here’s where it starts. It starts by you waking up, looking in the mirror and you blocking everything else out. Take responsibility for your attitude, your behavior and the choices you make every single day,” he said. Yalden said that whether that responsibility is asking for help or separating yourself from some of the negative influences that hold you back – take responsibility not to procrastinate anymore. You are going to buckle down, grind and get it done. “Who is the hardest person to get to know? You will probably say ‘ourselves,’ ‘me’ – ‘myself.’ That’s right. I want you to look in the mirror every single day – not looking at how you look. I will tell you right now that you are beautiful. I want you to look at who you are – because when you look at who you are and you start working on that, then how you look is going to take care of itself,” he said. When you look in the mirror – start asking better questions. Start getting in the mirror every single day, and I want you to start asking better questions. “Sometimes you reach out to people because you think there’s a pill that you can take to achieve this or to do that,” Yalden said. “Sometimes you reach out to other people because you think there’s some magical formula. Yalden’s bottom line is this: You need to look in the mirror, and you need to do what you need to do. Look in the mirror. Hold yourself accountable.